Darren Clarke is on track for his first win since the 2011 Open. Picture © Oneasia.asiaDarren Clarke is on course to grab his first win since the 2011 Open Championship after a four-under-par 68 gave him a share of the lead with China’s Liang Wenchong (70) in the OneAsia Tour’s U.S. $1 million Nanshan China Masters. The pair are tied on eight under par at Nanshan International Golf Club, two clear of Australian Scott Strange (69), Korea’s Kwon Sung-yeol (67) and young China star Zhang Xinjun (72). Darren Clarke. South African Charl Schwartzel (68), the 2011 Masters champion, is a shot further back alongside Australian Terry Pilkadaris (70) and New Zealander Gareth Paddison (73). Clarke, 45, has not won since beating Phil Mickelson and Dustin Johnson by a stroke to claim his first Major at Sandwich and insists that he will feel the pressure on Sunday. “There is pressure in any event, it doesn’t matter whether it’s the Open Championship or here at the Nanshan China Masters,” he said after starting the day two shots behind overnight leaders Liang, Zhang and Paddison. Defending champion Liang ended a two-year-victory drought of his own in beating former US PGA champion YE Yang in a five-hole, sudden-death play-off last year. “He is a very respected player and as the local I’m ready to face his challenge and will try my best to play well,” said Liang. Schwartzel continues to be frustrated by his ball striking despite his best round of the tournament and says he will dig deep for inspiration. 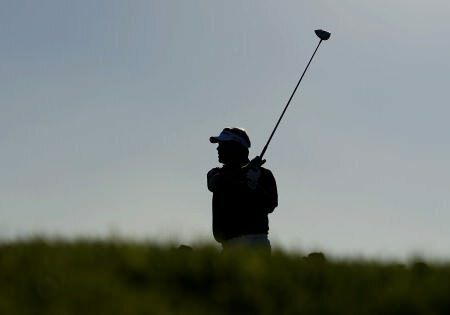 “To have these sort of weeks frustrates me a lot because I know I can play a lot better, especially on a golf course like this where you should be a lot more under par,” he said. 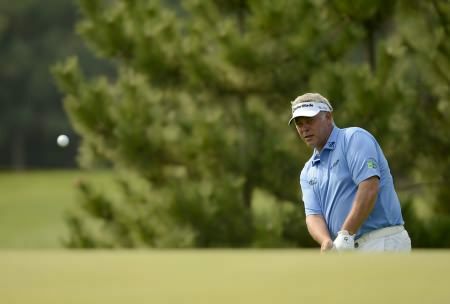 Darren Clarke made a positive start in the CIMB Niaga Indonesian Masters. 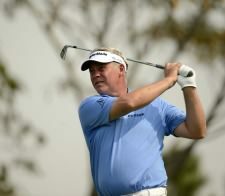 Picture via asiantour.comTwo bogeys in his last six holes cost Darren Clarke a chance to break 70 in the opening round of the Asian Tour’s CIMB Niaga Indonesian Masters. 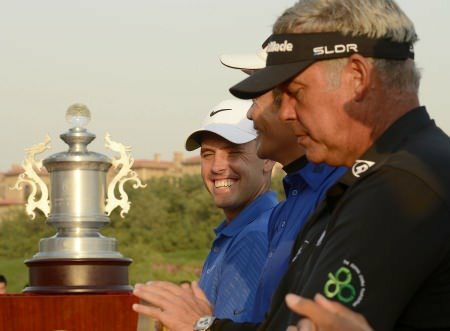 Darren Clarke was pleased to open with a level par 72 in high winds in the Nanshan China Masters on the OneAsia Tour. Picture © OneAsia.asiaDarren Clarke was impressed by the scoring from the front runners but pleased to open with a level par 72 that left him just four shots off the pace after the opening round of the $1 million Nanshan China Masters. 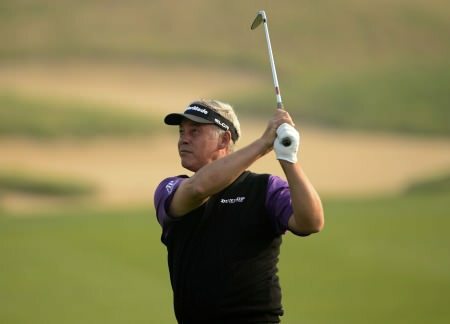 Darren Clarke is in contention for his first win, two years and two months after he captured the Open. Picture © OneAsia.asiaDarren Clarke is on track to challenge for his first tournament win since he captured The Open more than two years ago. Charl Schwartzel was delighted with his win in China. But Darren Clarke was disappointed with his putting. Picture © Oneasia.asiaDarren Clarke’s victory drought goes on after stablemate Charl Schwartzel shot a four under 68 to claim the Nanshan China Masters title by a stroke from the Ulsterman (72) and defending champion Liang Wenchong (72).